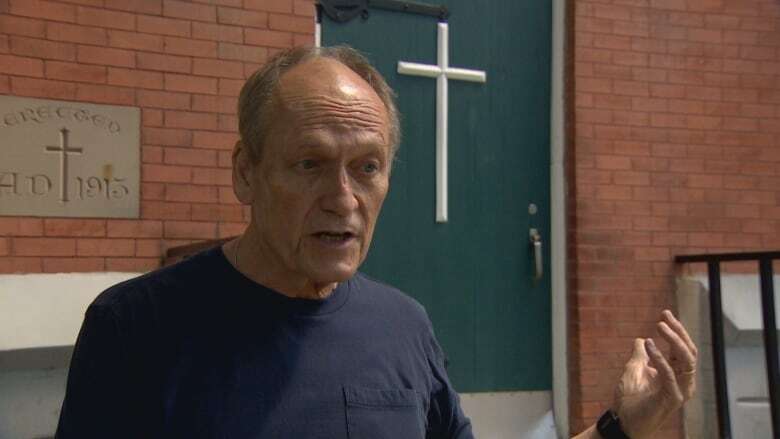 The City of Edmonton is taking a step towards preserving an area in the McCauley neighbourhood known as 'Church Street,' which boasts a dozen churches along 96th Street between 106th Avenue and 111th Avenue. 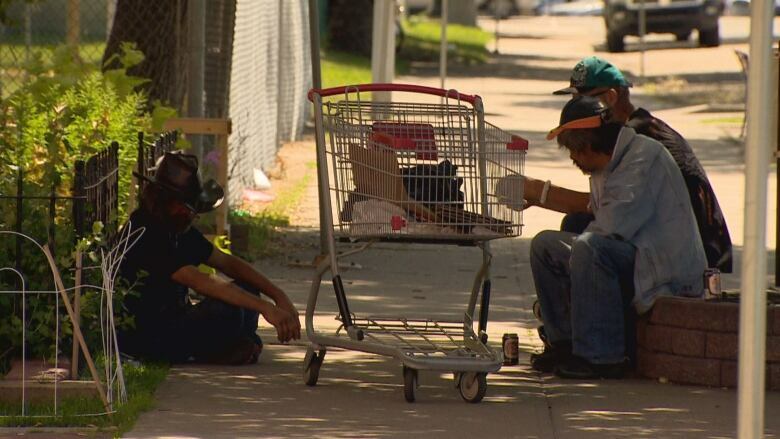 The City of Edmonton is taking a step towards preserving an area in the McCauley neighbourhood known as "Church Street." 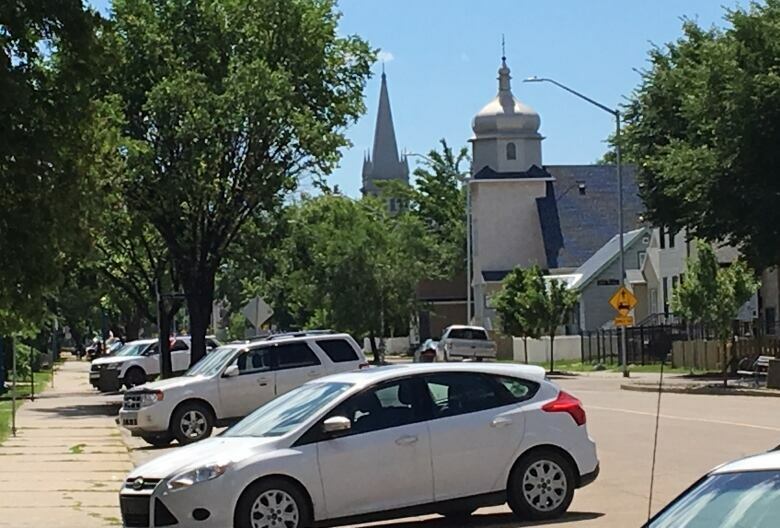 There are a dozen churches along 96th Street between 106th Avenue and 111th Avenue, and the city wants to establish this area as a historical and cultural destination. The plan includes preserving the architecture of the area, and eventually developing a program to explain and promote its historical significance to visitors. "The buildings themselves and the history that they represent, it would be a tragic loss to not see them protected," Coun. Scott McKeen said Monday. "Church Street is one of those gems, like Little Italy, like Chinatown," said McKeen, whose ward includes McCauley.. The rezoning change protects and preserves the area from development that might not fit with the long-term goals of the area, he said. The large number of churches on the street is one of the reasons Jayne Russell bought a house on 96th Street in 1999. "Edmonton has a great capacity to tear down history," said Russell. "There's a lot of immigrant and labour history all along this street, and if it's preserved, I think that's a good idea." Preserving the churches and their history is a way to honour the immigrants who have come to Edmonton and those who continue to arrive and settle in the neighbourhood, said Father Jim Holland of Sacred Heart Church of the First Peoples. "It's a sign of respect," said Holland. 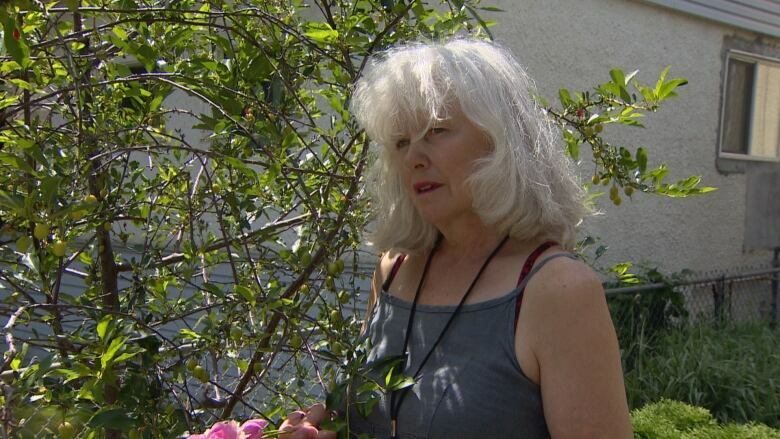 "We're not looking to gentrify our neighbourhood. We're looking actually to sort of save our neighbourhood. To keep it the friendly, supportive community it's always been," said Colleen Chapman, president of the Friends of Church Street community group. Preserving the history of the area does not mean pushing out the large population of homeless people, she said. "Everybody belongs there. Homeless people belong there, immigrants belong there, everybody belongs on Church Street," said Chapman. Providing housing for the chronically homeless should be part of the plan for this area since it would make the area safer, McKeen said. "Then we can welcome not only visitors to Church Street but also investors, entrepreneurs and developers," he said. McCauley was one of the first areas in Edmonton to be developed, and many immigrant communities historically chose to settle there. They built churches as centres of their religious, cultural and social life. "It'll remind people we didn't start from nowhere," said Russell of preserving the churches. While the 12 churches are all listed on the city's inventory of historic resources, none are currently municipally designated. City staff are proposing direct development controls for the area to ensure future development is designed in a way that is integrated with the existing low-density, residential character of the neighbourhood and contributes to enhancing the unique visual identity of Church Street. New development such as high-rise apartment buildings would not be allowed in the area. "I think that would destroy the neighbourhood," said Holland. "They can leave that closer to downtown where there are tall buildings and spots where they can do that." A report released last week states the regulations would emphasize the use of traditional materials, featuring pitched-roof design and open porches. If a church is demolished, the list of allowable uses of the site would be reduced, the report stated. The hope is the designation will make it more likely that the existing churches would continue to be occupied and re-used, according to the report. One of the churches is already being used as a private business, said Holland. "But it's still intact and it still looks like a church." The proposed rezoning changes for "Church Street" will be discussed at a city council public hearing on July 10.